If you read my post on getting the ColdFusion Builder Console working and use ORM, you may have run into some further questions. When generating ORM, it’s wise to monitor what SQL queries Hibernate is generating for you, both for performance and debugging reasons. (Wasn’t ORM supposed to make my life easier?). You’ll may notice however that the default configuration will not show DDL queries used for creating or updating tables nor will it show the parametrized values (just a ?). To enable these things look at <cf_home>\lib\log4j.properties (in my case it’s C:\ColdFusion9\lib\log4j.properties). It seems like a little overkill on what this ends up returning because not only will it return your parametrized values but also what each column returns. I wish I could disable the latter. I placed an example snippet below. Thanks to Rupesh Kumar for providing this information. 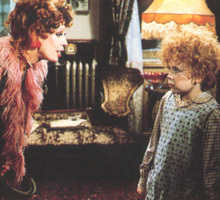 In the 1930’s Miss Hannigan wanted to delete orphan Annie, but now we have child neglect laws that prohibit that. Good thing we now have SQL. Lets say we have two SQL tables that contains names of team members. One is for softball and one is for baseball. We want to remove all players from softball that do not play baseball. You could do this in a loop or a subquery, but if you have team data from the past 100 years this may become quite costly. What this is doing is matching the table Softball with Baseball. Any orphaned Softball players (no match with Baseball) end up getting deleted. Normally, if I’ve ever needed a large amount of text data stored in a database field, I would use a column type of text. I would usually do this when going beyond 256 characters. I think this stems back to use MS SQL 6. Now as of SQL 7, the varchar type can hold around 8000 characters (8k) and nvarchar can hold around 4000 characters. 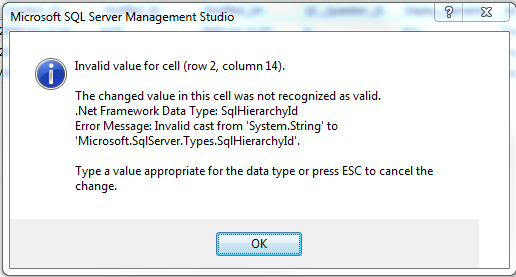 This limitation stems from the 8KB internal page size SQL Server uses to save data to disk. But who really wants to deal with putting in client-side validation of 8k characters when you can just make it unlimited? But the pain from using the type text comes in when trying to query against it. For example grouping by a text type is not possible. Another downside to using text types is increased disk IO due to the fact each record now points to a blob (or file). Most clients that I’ve worked on are still on SQL 2000, and maybe 2005 – so I haven’t really caught up to the nifty 2005 and 2008 changes yet. Reason? MS SQL Servers are freak’n expensive!